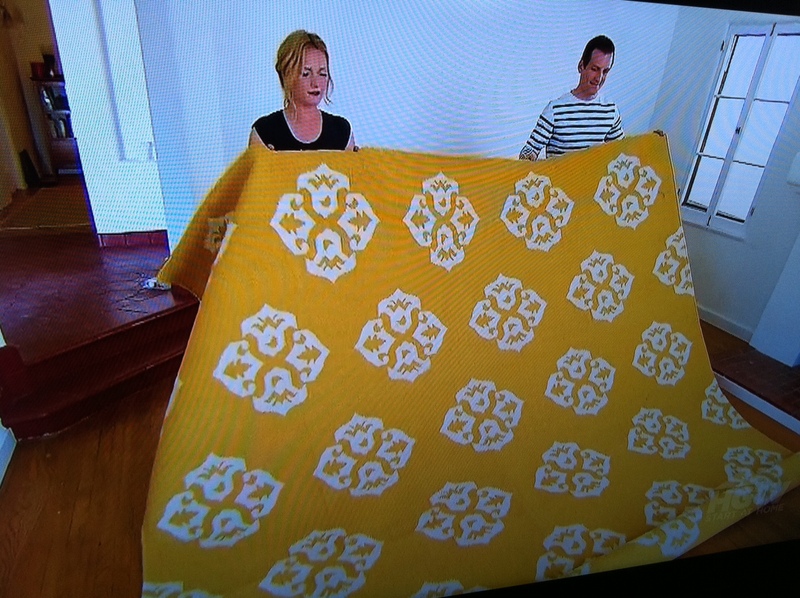 Nice rug and all but is George still in need of a good home? C.E. We actually just had the rug delivered today (wow... fast shipping). So far (I'm at about hour number 2.5 of unwrapping it) I love it! I really don't think you'll be disappointed. How's the color on the rug? Is it more muted or vibrant? Is the ivory really ivory or more beige/tan or white? I've been looking at it for some time a well, but I can be leery of viewing colors over the internet and I don't have a West Elm near me either! Thanks for your help! I'm really happy with the colors. It's actually a pretty vibrant yellow, but not too much so... I would say the ivory is a true ivory, not at all tan. :) I was wondering both things myself before ordering it. Great blog! I too have been mulling over the purchase of this Andulasia rug from West Elm. I think it would look great in our home office. Any chance you will have the pix up soon? Looking forward to them. I have just stumbled upon your site while searching for this specific rug. We are currently looking at the same rug but in the brown (espresso) color. We don't have a West Elm store near where we live. We will have to order it online. But I just wanted to know how's the quality ? I'm not sure if I really like the texture but the design is really nice. I think the quality seems very nice durable. It's nice and thick and seems very well made. I say go for it, girl! Thank you for taking some of your time to respond to my message. We currently have two options and I think I may end up going with the West Elm Andalusia. I like the second rug but I find the Andalusia more modern.